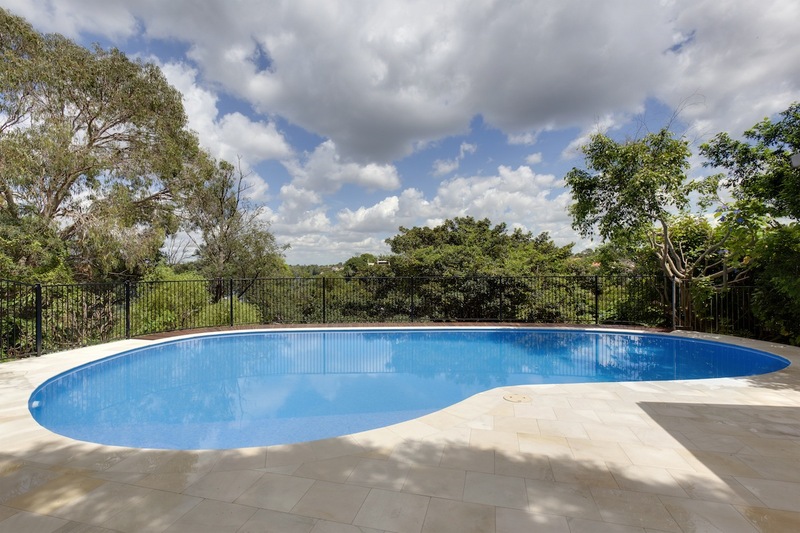 This major pool reconstruction gave a new lease of life to an inaccessible and neglected entertainment area that many Sydney pool builders claimed was just “too hard”. 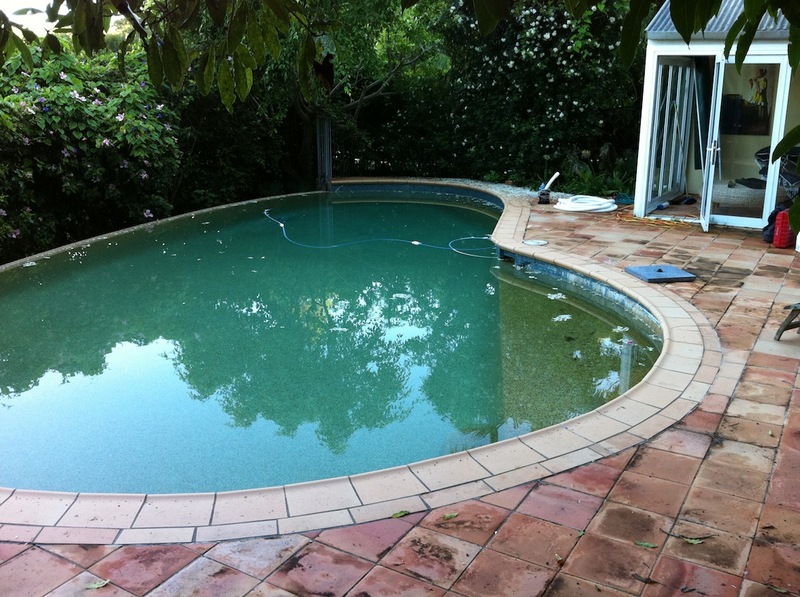 Not Sunset Pools, the refurbishment specialists known for their readiness and capacity for taking on projects that less competent pool renovation contractors shy away from. 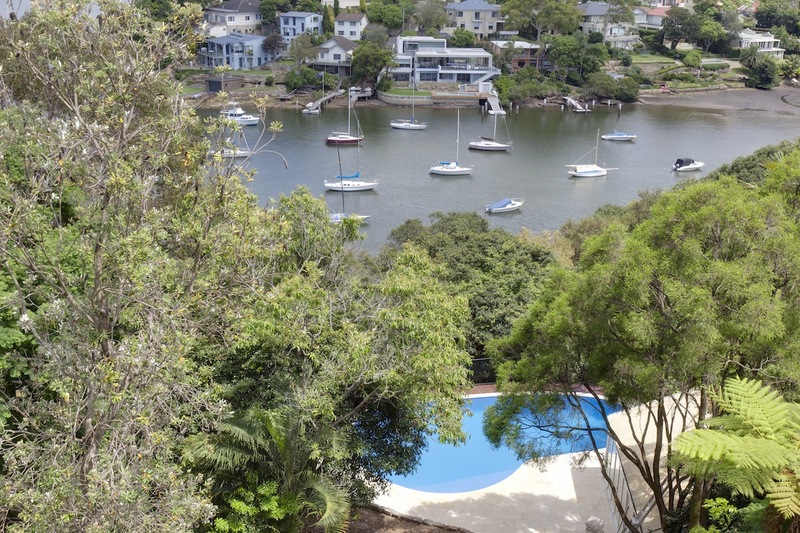 Isolated on one of this inaccessibly steep North Shore blocks lower terraces, this home’s neglected entertainment area consisted of an old concrete cancer ridden wet-edge pool, surrounded by a subsiding paved sun deck and a derelict pool room. 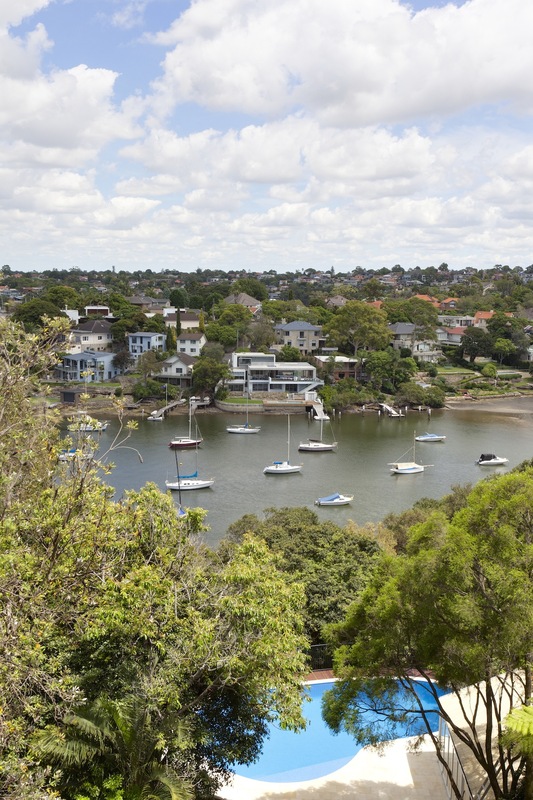 For years this once desirable Sydney lifestyle addition had remained unused and unloved, falling in to disrepair, then suffering from the ravages of long term neglect. Even though existing home extensions on the upper level now impeded access to the property’s tiered rear garden, the home’s new owners’ wanted to re-establish what was formerly their property’s most desirable attribute. 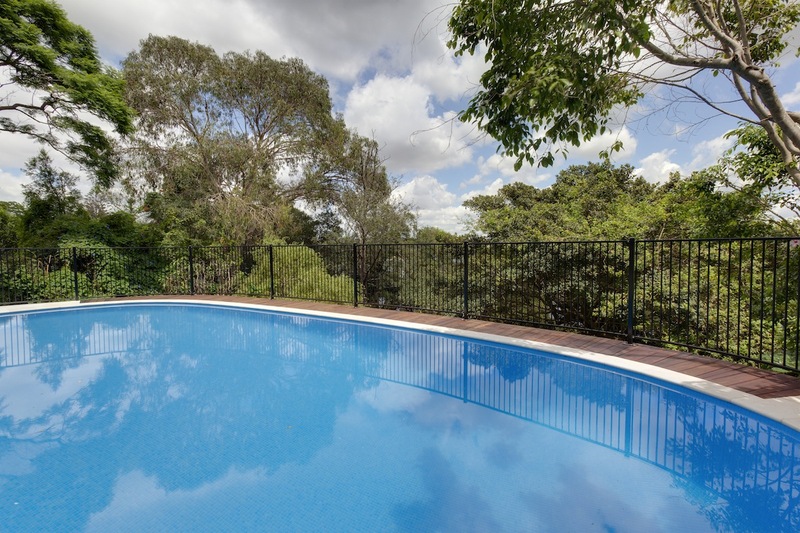 To discover for yourself why so many Sydney pool owners choose Sunset Pools’ to renovate plus add value and style to their old and deteriorating swimming pools. Call 1300 000 412 or complete the enquiry form right now. When looking to engage a single contractor capable of tackling the entire refurbishment, from the rusting pool shell to refitting the pool room’s kitchen facilities, they soon discovered that few Sydney pool refurbishment companies were either capable or interested in a project thwart with such obvious difficulties. Testing site access issues alone were enough to convince pool contractors to simply price themselves out of the equation. Sunset however, relish the possibility of overcoming project adversity and finding cost effective and practical answers to the most challenging tasks. Initially the most significant test Sunset Pools faced was how to get the demolition waste away from the site, plus all the new materials required back in. 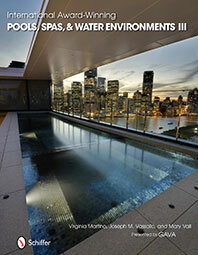 Substantial quantities of concrete rubble from the pool shell and sundeck’s bedding could not be reused on site, plus significant quantities of steel and in-ground pool construction material was required to be bought in. 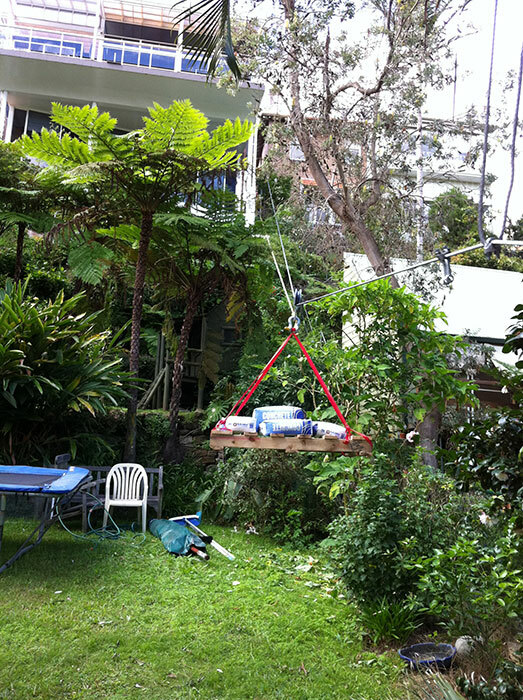 Sunset’s inventive and effective resolution was to rig an elevated flying-fox from a large tree at the top of the block down to the pool terrace, where it was anchored by core drilling into the original pool shell. Sunset’s flying-fox solution enabled waste rubble and building materials to be flown directly over the top of the house by the bucket load. With access logistics creatively solve sunset commenced the site’s remodelling by completely removing the pools unwanted cancerous wet-edge and wall, as well as the deteriorating terracotta paved concrete deck. After stripping back the pool’s concrete shell and treating all rusting steel work, new galvanised reinforcing was employed to extend the pool shell beyond its original wet-edge boundary, and establish new traditional pool coping. The pool shell was core drilled to accept updated hydraulics, then new high capacity (50mm) water management piping installed before the pool’s surrounds were extended and totally regraded to rectify pre-existing falls that had caused the site’s extensive drainage issues. 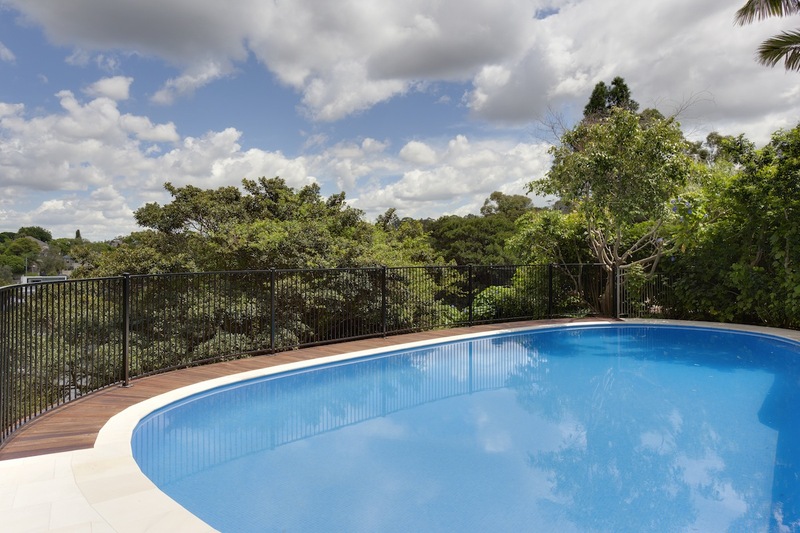 Completing the pool shell’s rebuild entailed waterproofing and entirely re-rendering the interior, before applying glistening new tiles throughout and the installation of a custom made curved glass pool fence along the extended deck’s perimeter. 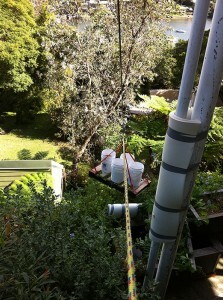 The filtration and sanitation systems were upgraded to the ‘Sunset Standard’ with energy efficient modern replacements. 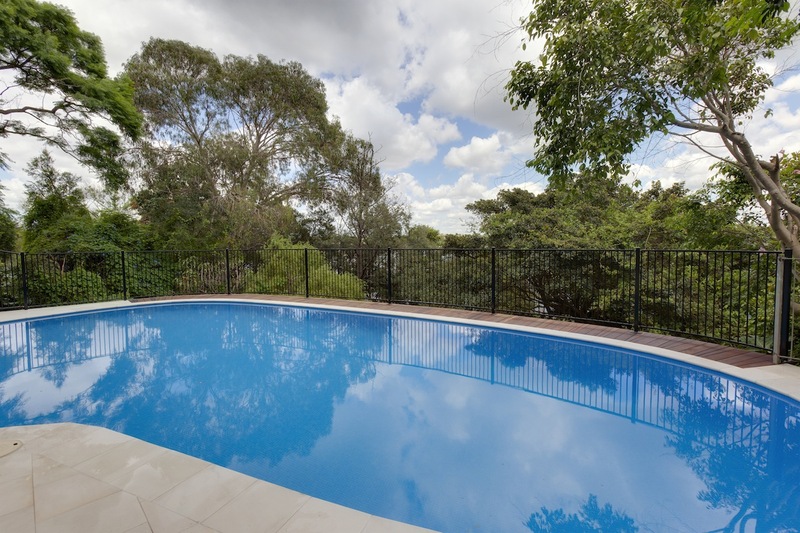 And the sundeck and adjacent pool room’s kitchen and bathroom transformed into a delighted family’s sparkling new leisure and entertaining area. 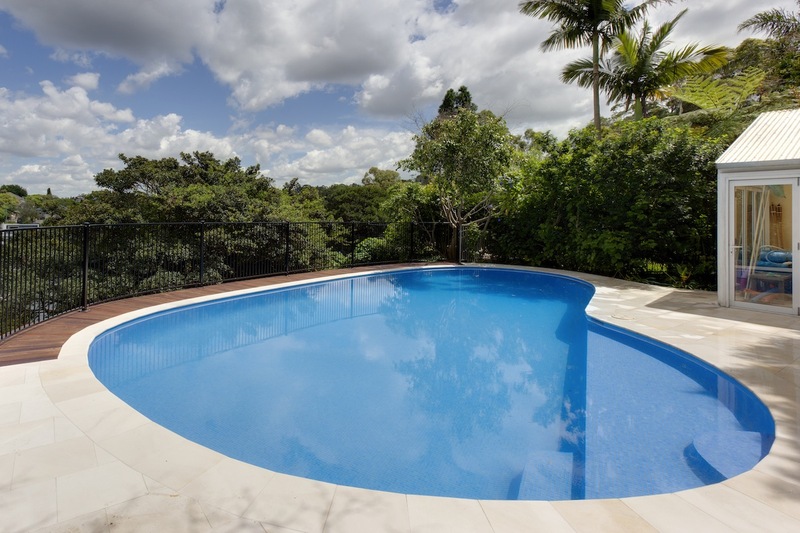 Discover for yourself how Sunset Pools’ inventive pool design, renovation and building techniques will return value and style to your swimming pool and spa. 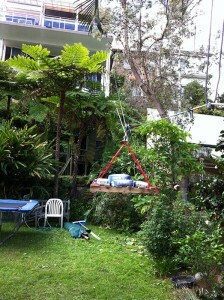 Call 1300 000 412 today, or complete the enquiry form right now.